Quinoa is all the food rage nowadays. I’ve tried it a couple times and it’s okay, not that much different from rice. 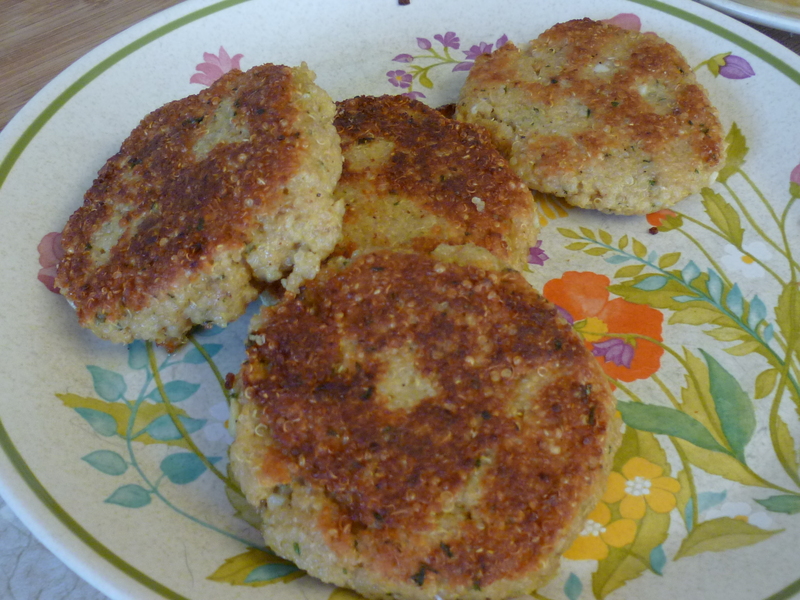 The blog Portuguese Girl Cooks has an awesome recipe for quinoa cakes. Now, I am really impressed. The cakes were simple to prepare, not messy, and came out looking like they are supposed to. They are very flavorful. I could make a batch of these and put them in my son’s lunch box this summer, they make a real firm cake, easy to eat with fingers, but moist inside. Yes, yes, I’m a fan. 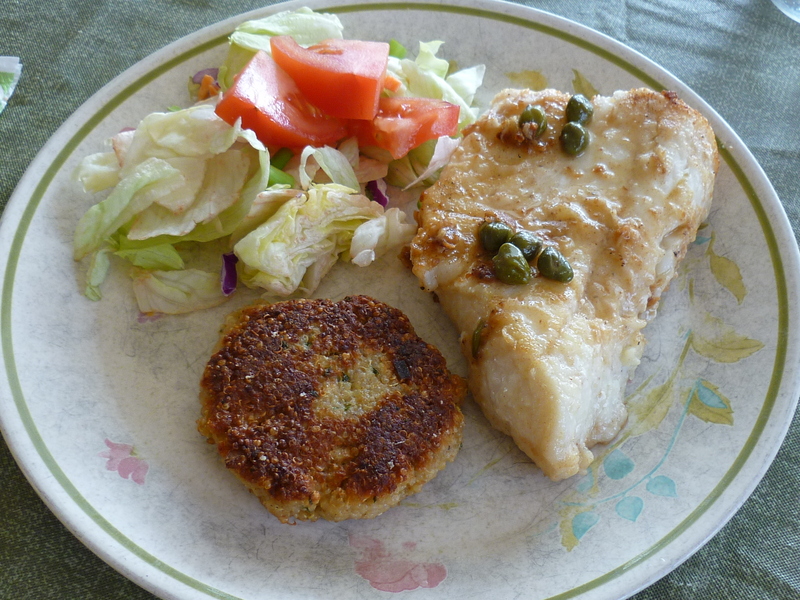 I served these with the Pan-Fried Flounder and it was a nice combination. I made a half a batch for two of us. It made 5 or 6 patties. There was one left over. Bring 1 cup of water to a boil and stir in 1/2 cup quinoa. Cover. Turn heat to very low and let simmer for 20 minutes. Cool before proceeding with recipe. Stir in 1/2 cup bread crumbs, 2 Tbsp. parsley, 1 tsp. lemon zest, 1 clove minced garlic, dashes of salt, pepper, cayenne, 3 Tbsp. grated Parmesan cheese. Beat 2 eggs with 1 Tbsp. Dijon mustard. Stir egg mixture into quinoa mixture. 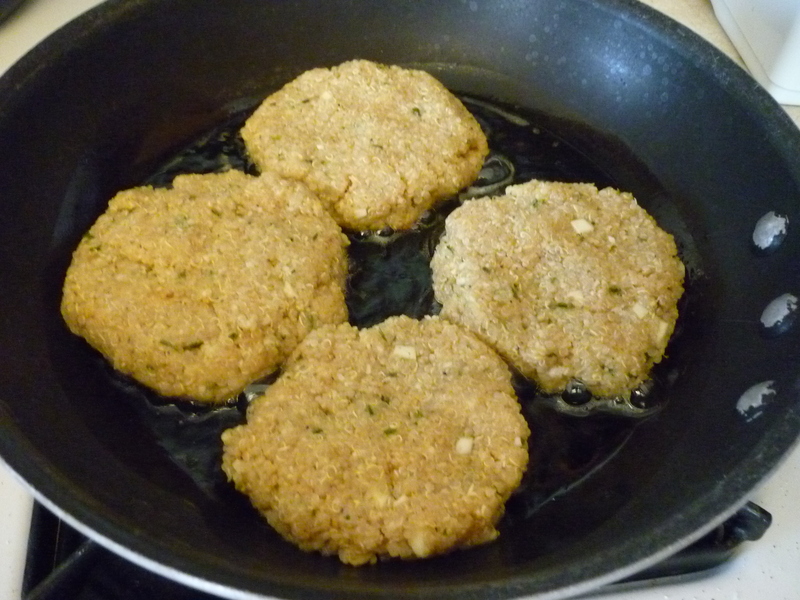 Form into patties and fry in a little olive oil on a skillet over medium heat until cakes turn a golden brown color. Okay. I must first confess. 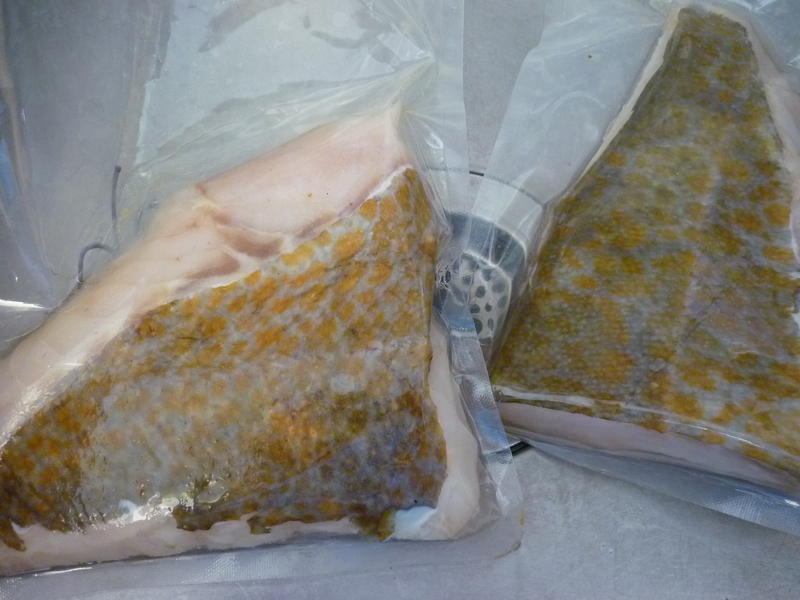 Our neighbors moved to Texas and left us a box of frozen fish. It was supposed to be only salmon, but there was a lot of white fish in the box as well. We are pretty sure that most of the white fish is flounder. We have been eating it and it’s really good. I know at this moment my fishermen friends, of which there are a great many, are trying to contain their derision. “What! Paula, you don’t know?” Sigh. Okay. Lay it on. Is this flounder? I think so. A fisherman friend graduated from high school (back in the day) and went to Australia. She worked in a restaurant there for awhile. In Naknek, Alaska, where we both graduated high school, flounder is considered trash fish. That’s because the goal fish is salmon, anything else is a by-product. I remember her saying she couldn’t believe she served flounder to paying customers. “Here’s your flounder,” she’d say while holding it at arm’s length. This has been my flounder impression for forty years, so I was pleasantly surprised to discover how much I liked it. 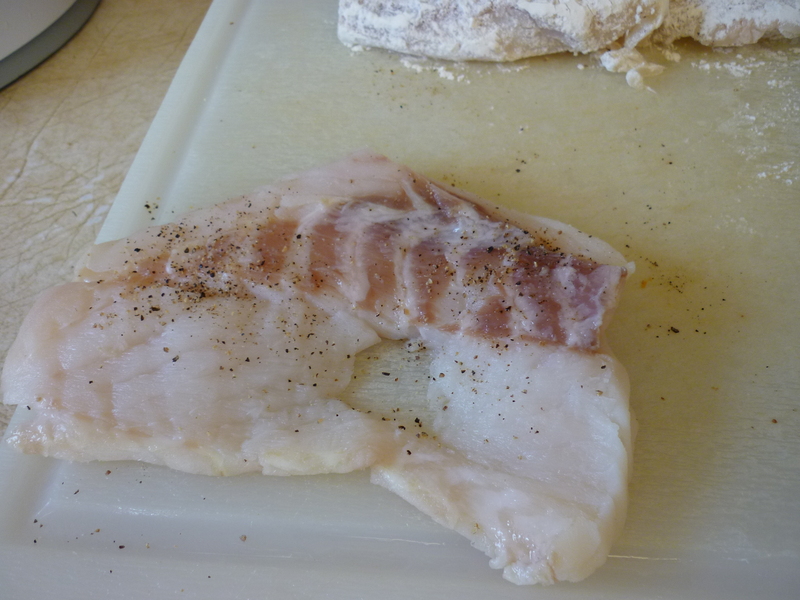 Salt and pepper the flounder filets. Dredge the fish in flour. Heat skillet with butter and olive oil (a couple tablespoons of each) on medium until butter is melted and stops foaming. 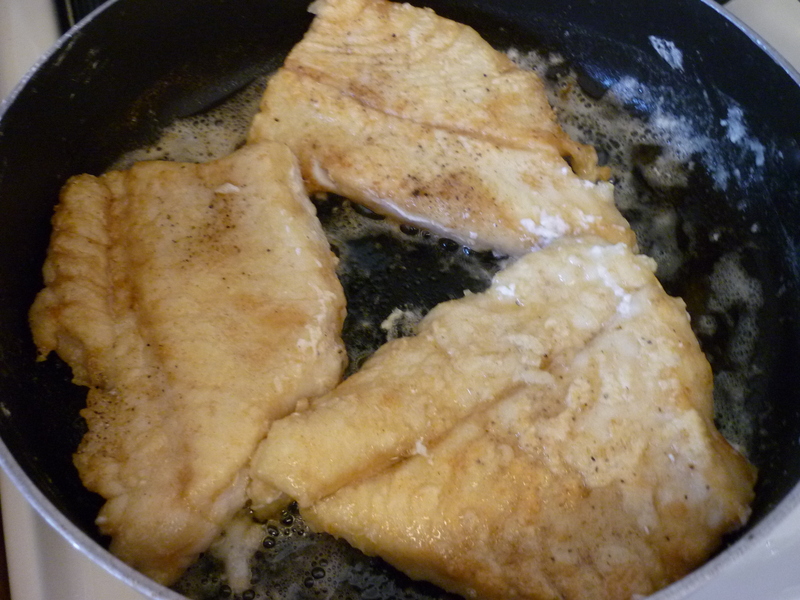 Fry the flounder until a nice brown, turning only once. It cooks very quickly. 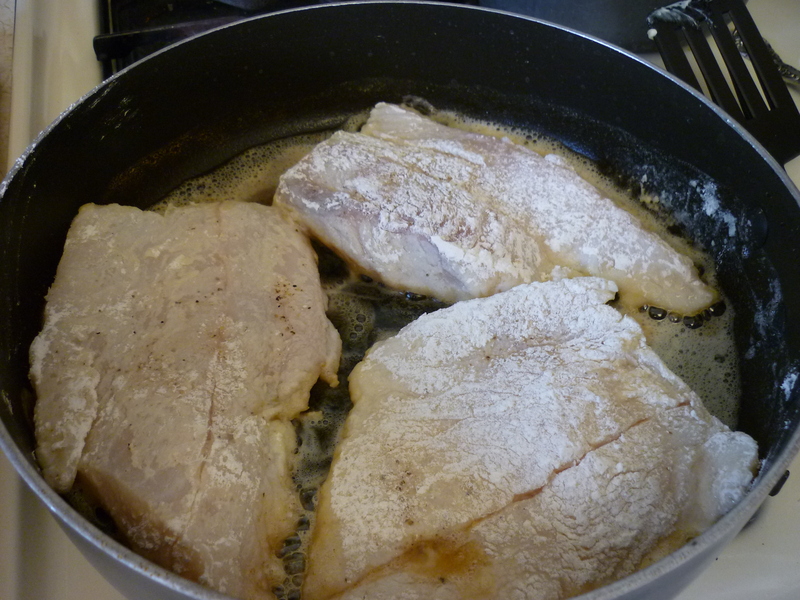 [My fish never turns a nice brown because I try to do them all at once in too-small of a skillet.] Remove fish to plate. Add about a tablespoon of butter to the skillet and stir. Don’t worry about any bits left behind, no need to scrape them up, just stir the butter around a little. Add a splash of lemon juice and stir. You’re trying to heat it, not cook it. Add the whole bottle of capers, juice and all. Heat through and drizzle over the fish. Yessiree, this is really good! 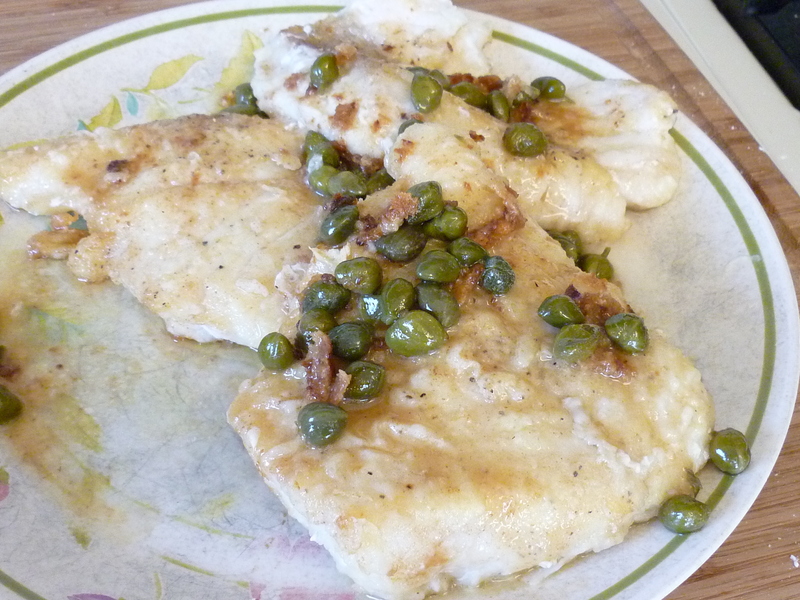 My husband says we should start putting capers on everything. I could probably go for that. If you're cutting the filets down and removing bones, don't put a big hole in yours like I did mine. Salt and pepper the filets. 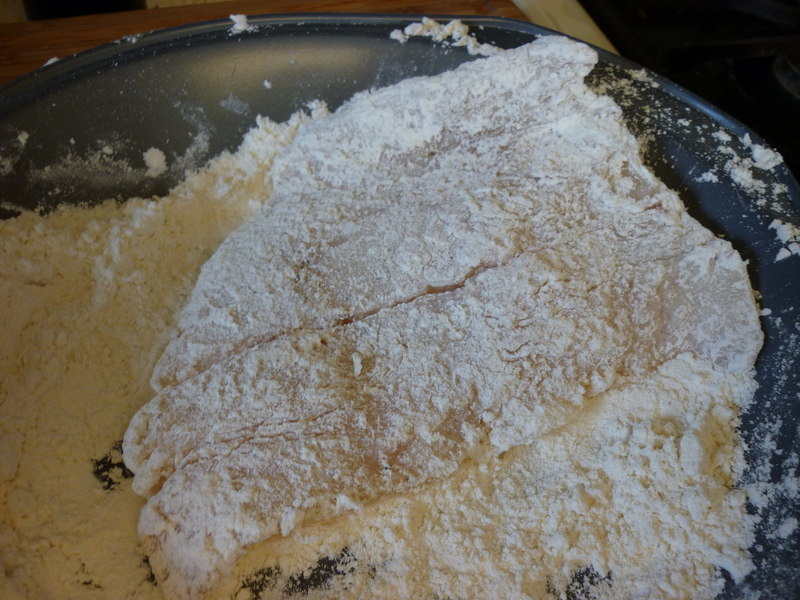 Dredge the filets through flour. Turn over and fry the other side (about 3 minutes each side). Drizzle thin caper sauce over fish. This is based upon a recipe from Anja’s Food 4 Thought. It’s very, very simple. I’m afraid it was a little too moist for me, but the fan club living at my house raved about it, so here I am, second day in a row, making this cake. The first one didn’t last long . . . at all. Note that lingonberries (also called Alaskan low-bush cranberries) are very commonly found in Alaska and I usually have gallons of them in my freezer. If a recipe calls for cranberries I use lingons instead. 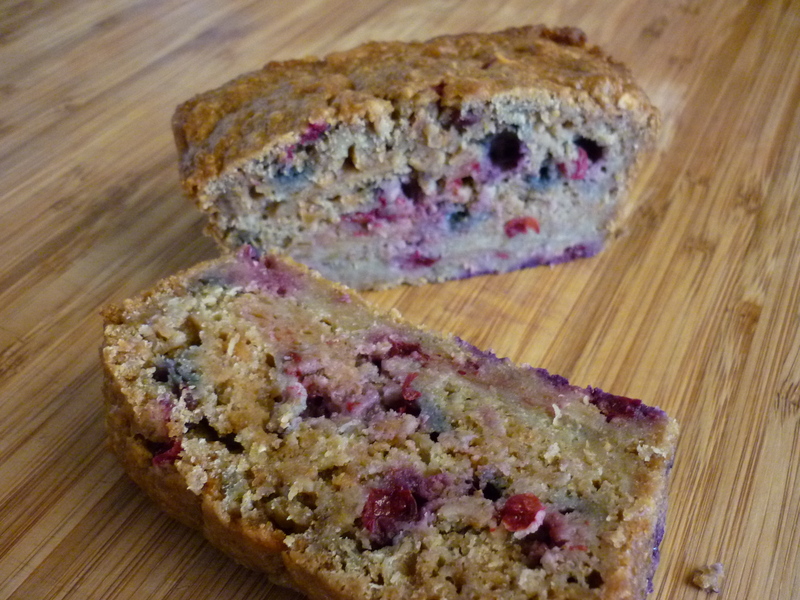 They are more tart than cranberries and will sometimes require additional sweetener. 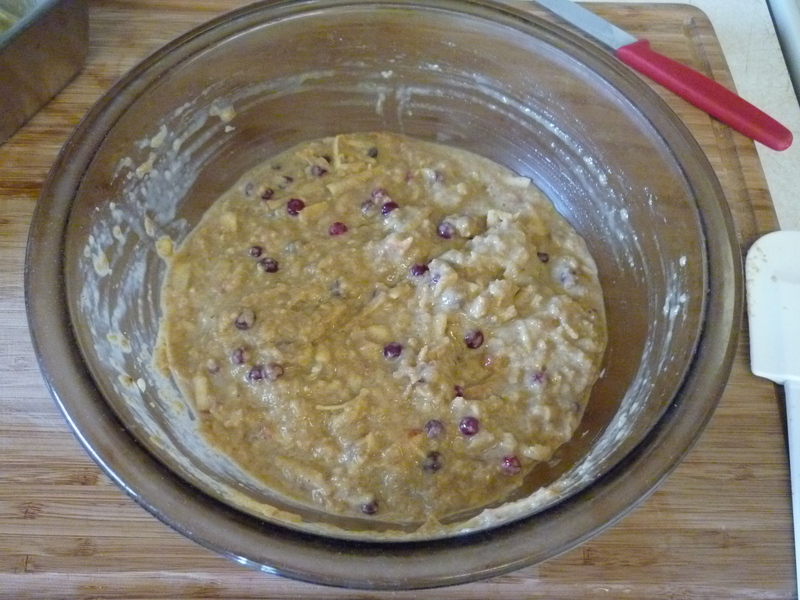 This particular recipe doesn’t use many “cranberries” and tastes good without the additional sugar. 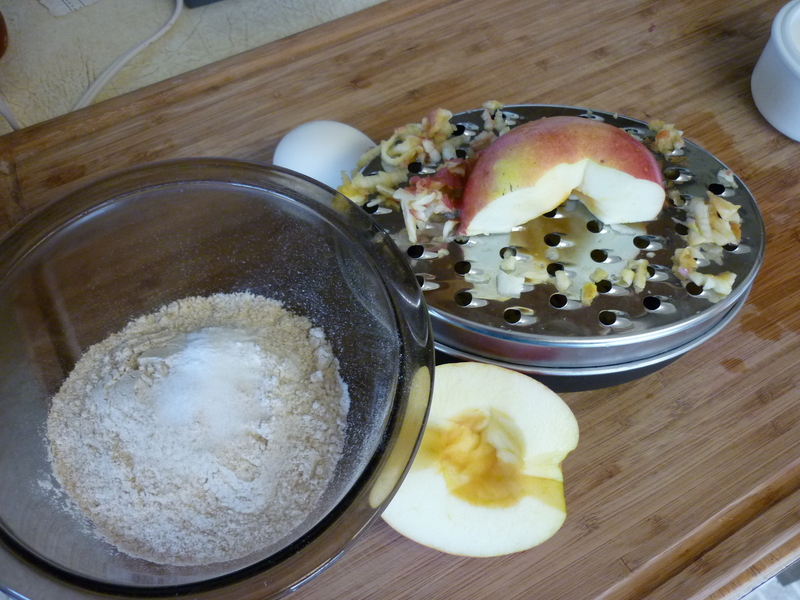 1 cup grated apple (1 large), I left the peel on, why not? In a large bowl, combine oats and brown sugar, stir in boiling water. Slice butter and place on top of the oat, sugar, water mixture. Let stand for 10 minutes. Meanwhile, combine flour, baking soda, and salt in a medium bowl. Set aside. In a small bowl, beat the egg lightly. 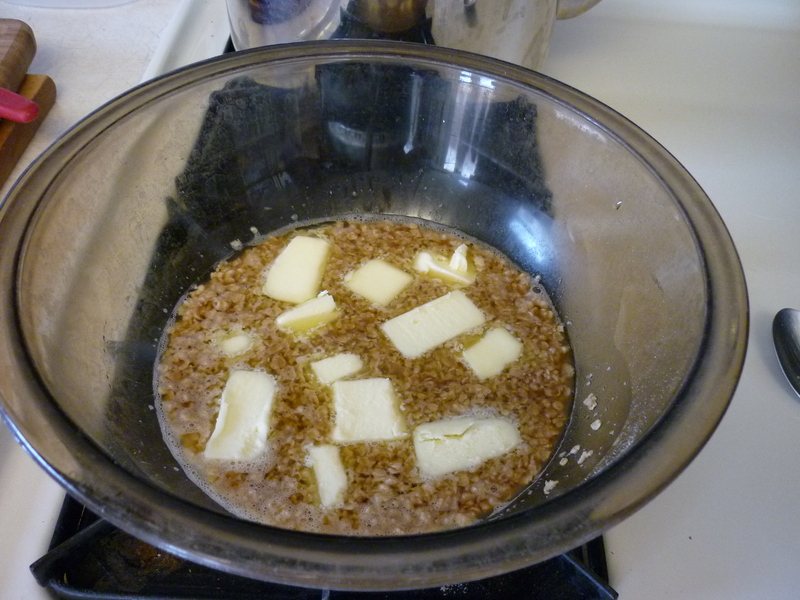 Stir beaten egg into the oat mixture and stir until well combined and butter is fully melted. 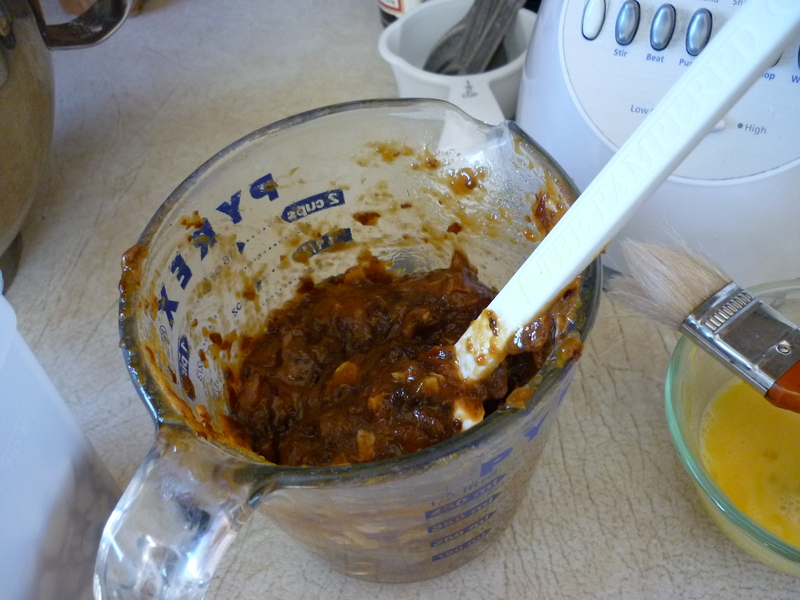 Stir the dry ingredients into the wet and mix well. Stir in the apple and lingonberries. 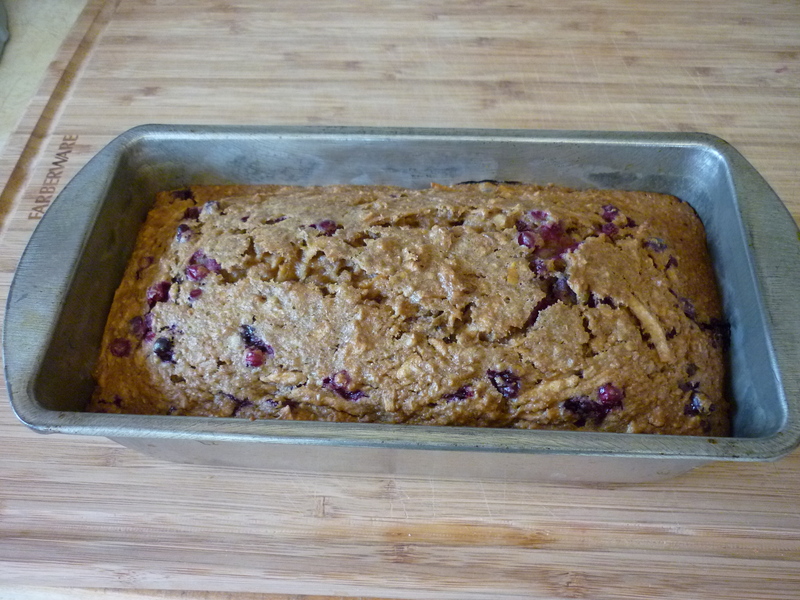 Pour batter into a greased 8×4″ loaf pan. Bake for 45 minutes or until toothpick comes out clean. Let cool in pan. Cut into slices to serve. Mix together quick-oats, brown sugar, and boiling water. Place butter slices on top. Let stand for 10 minutes. Mix in beaten egg. Stir in dry ingredients. Stir in apple and cranberries. Pour into greased 8x4" loaf pan. Bake at 350 degrees for 45 minutes or until toothpick, inserted in center, comes out clean. Here's what's left of yesterday's batch and that's nearly gone now. There's only three of us living here! Okay, so once in awhile I do know how to make something pretty. Tomorrow morning I’m headed to a bridal shower and was asked to bring something to share. This seems appropriate. I clipped the recipe by Aileen Claire (Times Wire Service) from the Anchorage Times back in the 1980s and have made it many times. I was able find it online at Ocala Star Banner, July 23, 1986. I’m going to give you the recipe the way I make it. 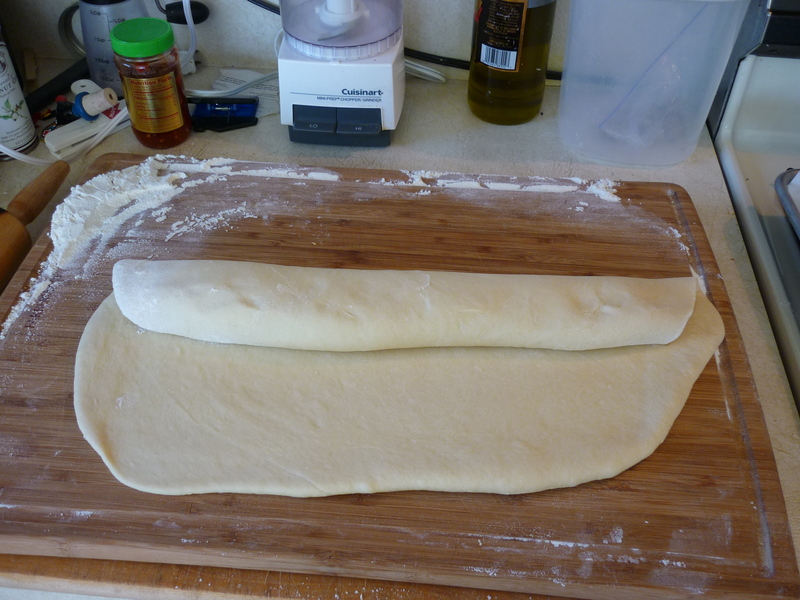 Let dough rise until doubled. Then punch down. Puree dried prunes with orange juice in blender, then stir in almonds and orange zest. 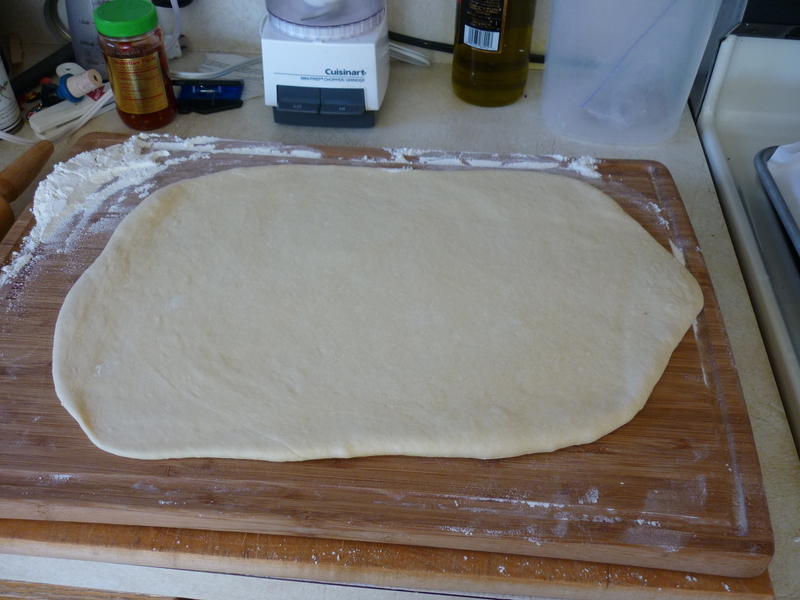 On floured surface, roll dough out to 18 x 12" rectangle. Spread filling along upper edge of dough. 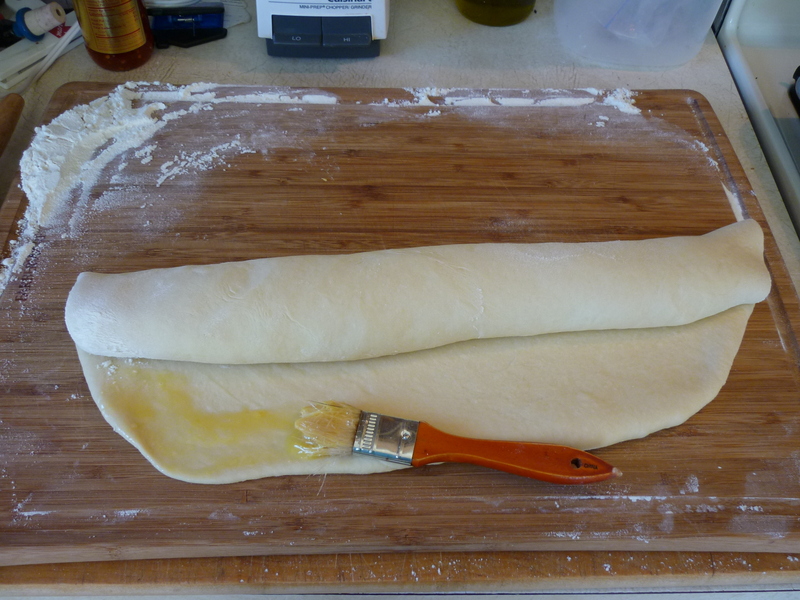 Start rolling the dough toward you. Brush lower edge with beaten egg. 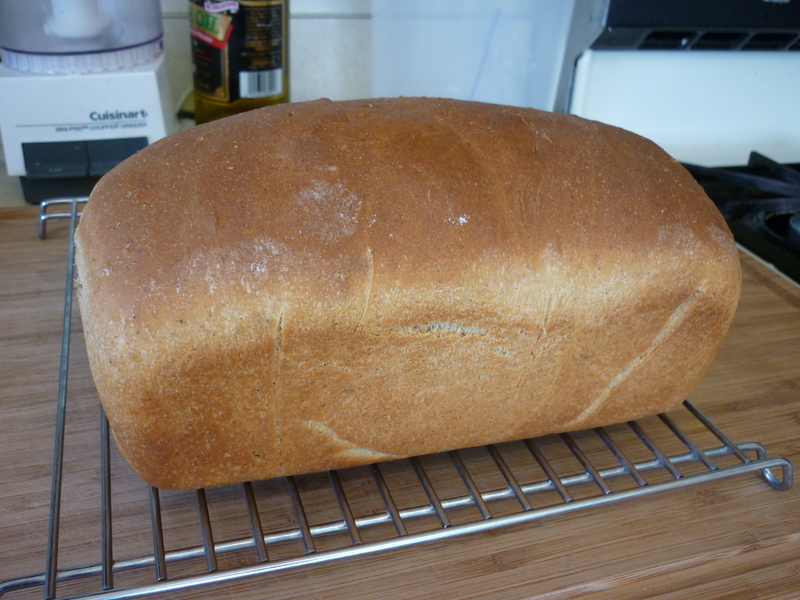 Can you see the beaten egg along the bottom edge of the dough? Pinch edges together to seal. 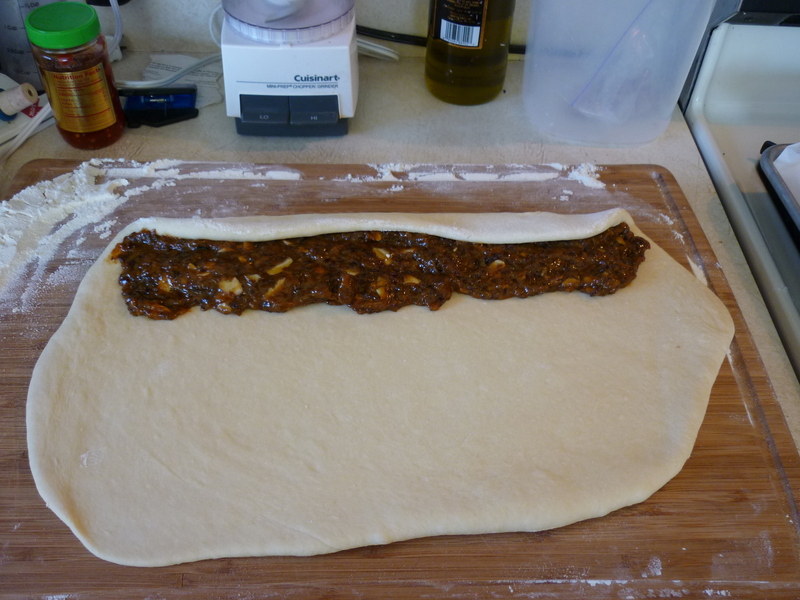 Pick up the dough and move it to a greased or parchment-covered baking sheet, seam side down, in a horse-shoe shape. 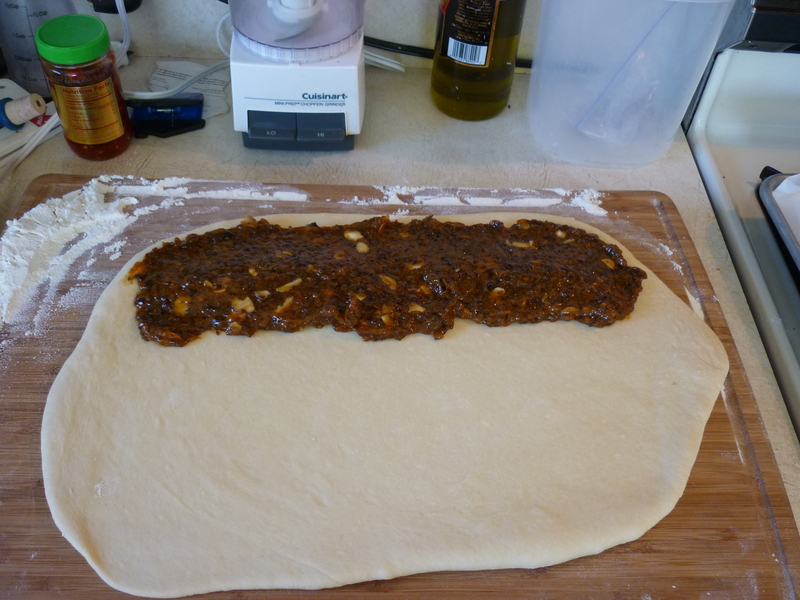 Make 12 cuts, about 2/3 of the way through toward center of the dough. Yeah, so I only made eleven cuts. Do as I say, not as I do. Fan the dough out a bit. 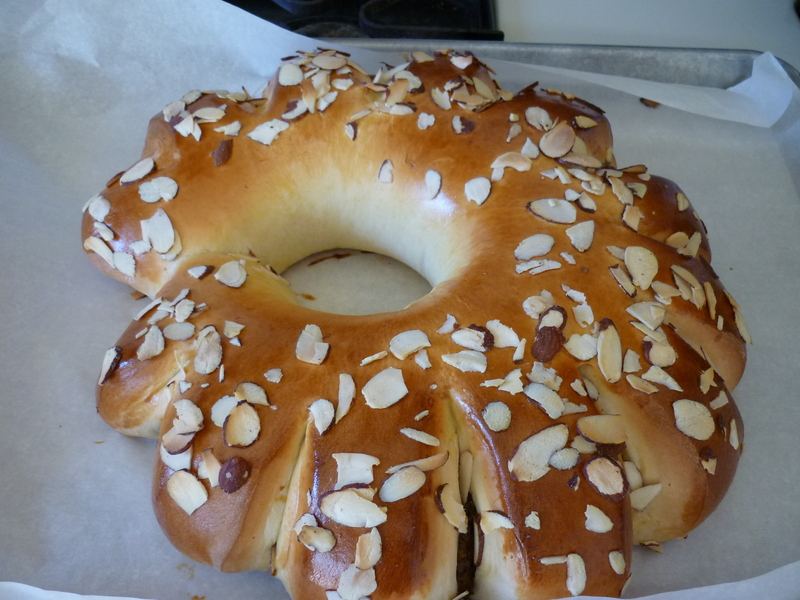 Brush with beaten egg and sprinkle with sliced almonds. Bake at 375 degrees for 30-35 minutes. Cover lightly with foil if it starts to turn too brown. Let cool. 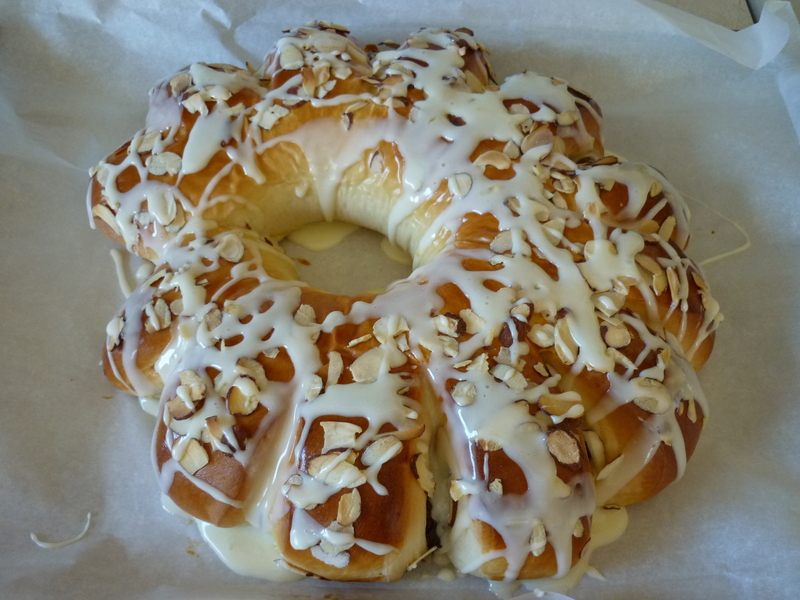 Make a thin icing by mixing powdered sugar with orange juice and drizzle over ring. Voila! In a large bowl, combine yeast, 1 Tbsp. sugar, and water. Let stand 5-10 minutes until bubbly. Add milk, butter, remaining 1/2 cup sugar and salt to yeast mixture. Add 2-1/2 cups bread flour to mixer with dough hook and knead very well. 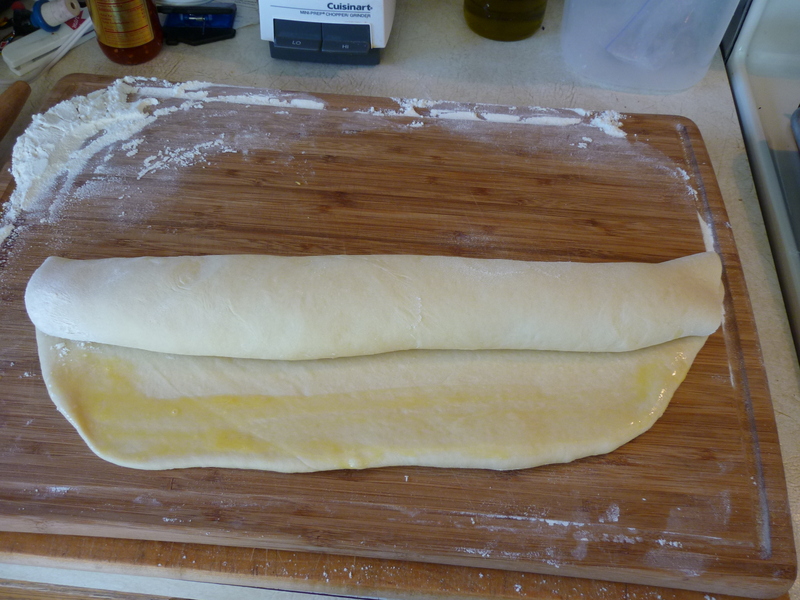 Add bread flour and continue kneading until dough becomes smooth and elastic. Let rise until doubled. Punch down and roll into an 18 x 12″ rectangle. 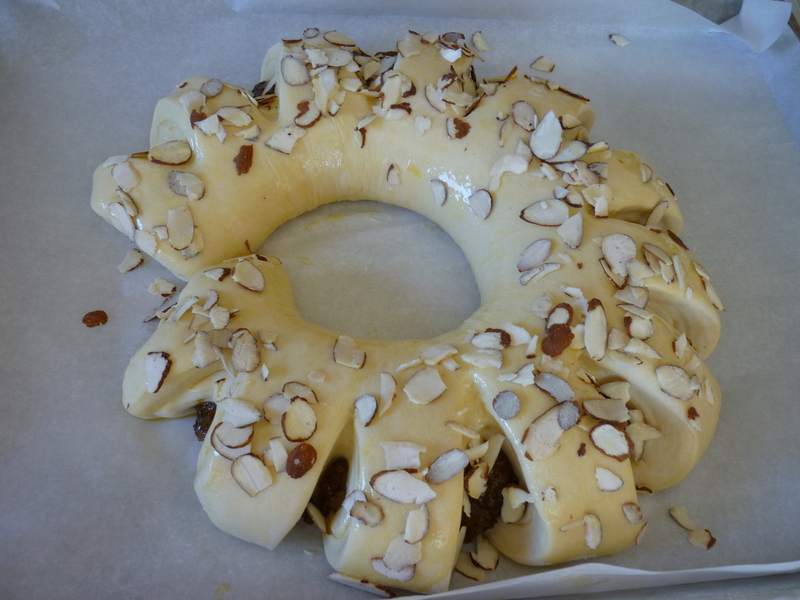 Spoon Prune Almond Filling along top of long side and roll up as for jelly roll. Brush along lower edge with beaten egg; pinch edges to seal. 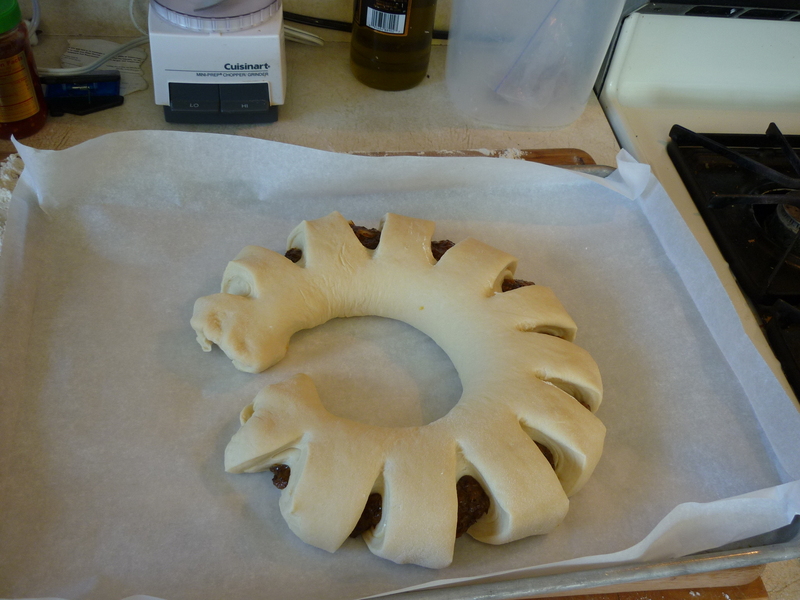 Form into a horseshoe on greased or parchment-lined baking sheet, seam side down. 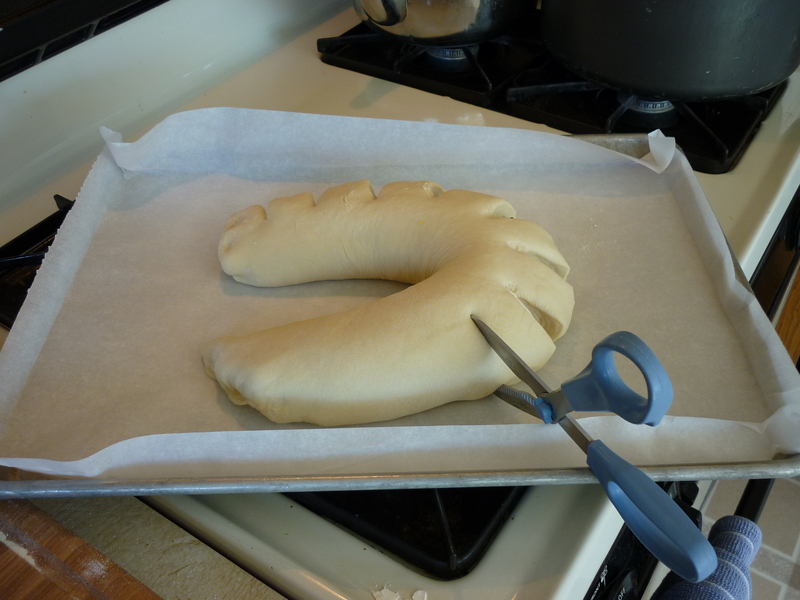 With scissors make 12 cuts two-thirds of the way in center of roll; fan slices out. 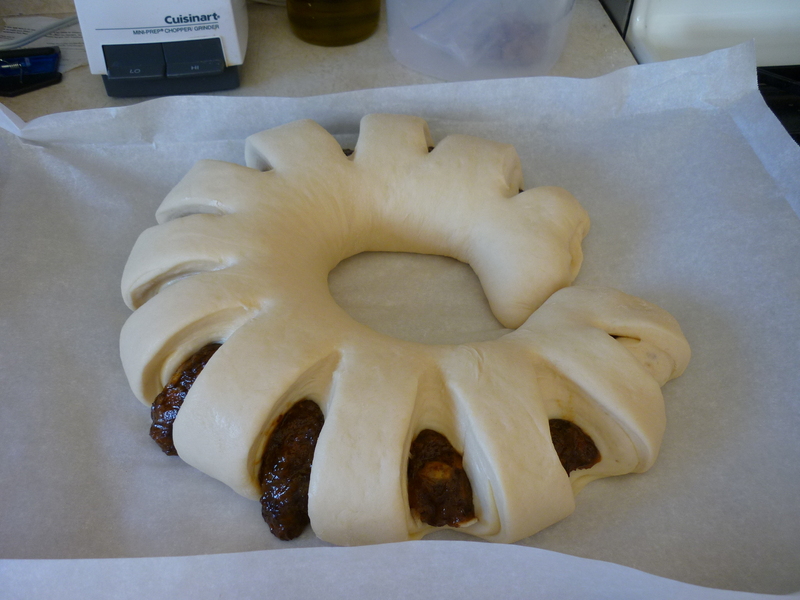 Cover; let rise in warm place until doubled in bulk, 1 to 1-1/2 hours. Brush top with more of the beaten egg; sprinkle with almonds. Bake in 375 degree oven 30-35 minutes, until golden brown, covering with foil as needed to prevent overbrowning. Remove to rack to cool. 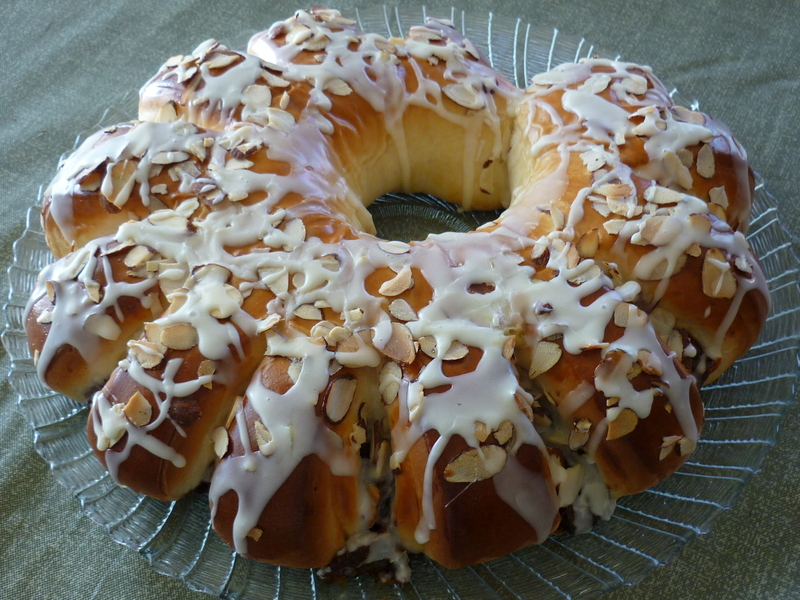 Drizzle with powdered sugar thinned with orange juice or water. In a blender or food processor combine prunes with orange juice. Blend until smooth. Pour into bowl; mix in sliced almonds and orange zest. 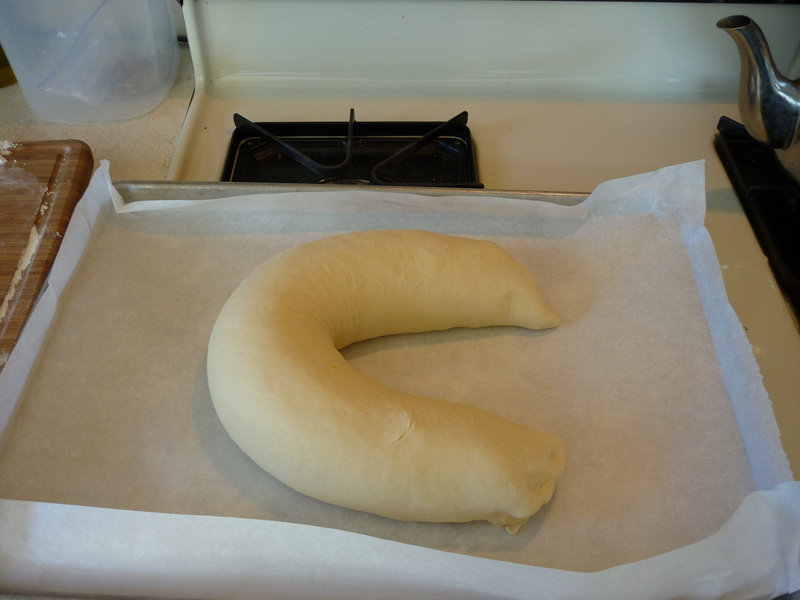 Today I am baking Swedish Limpa. The recipe is based upon a recipe found in one of my two favorite bread cookbooks: Electric Bread by the late Suzan Nightingale. Electric Bread is a cookbook for using a bread machine. I gave away my bread machine several years ago when my daughter talked her dad into buying me a Kitchen Aid mixer with the dough hook attachment for Christmas. I like having more control over the process of bead making, but the variety of recipes in Electric Bread is amazing so I’ve tweaked them for use in my mixer. 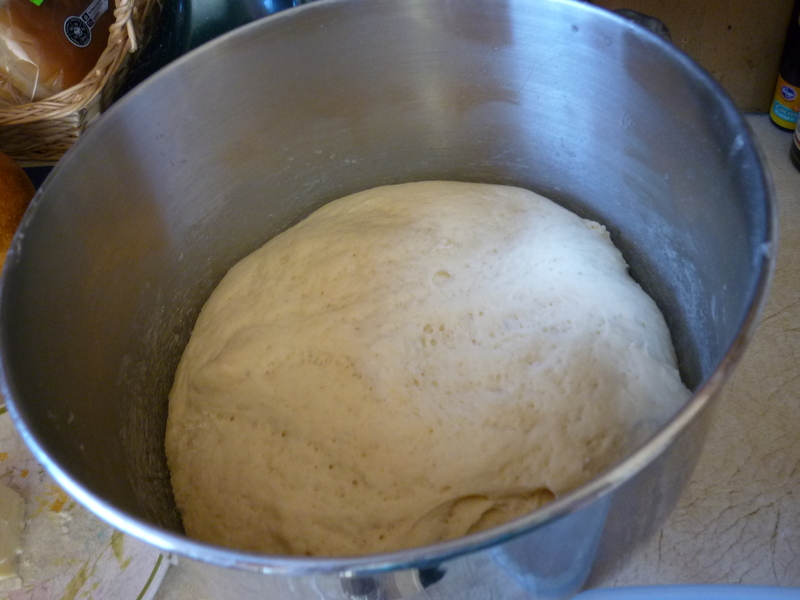 One of the things I’ve learned about making yeast breads in a mixer is that the best kneading takes place before the dough gets stiff, before adding that last cup or two of flour. That’s when you let the machine go for five minutes or so. Then add the final flour to make a stiff dough that’s not too sticky. Dissolve yeast in warm water. Add all ingredients except bread flour, start with 1-1/2 cups. Mix and knead very well. Gradually add bread flour until the dough is stiff and not sticky. Cover and let rise until double. Punch down and form into a loaf. 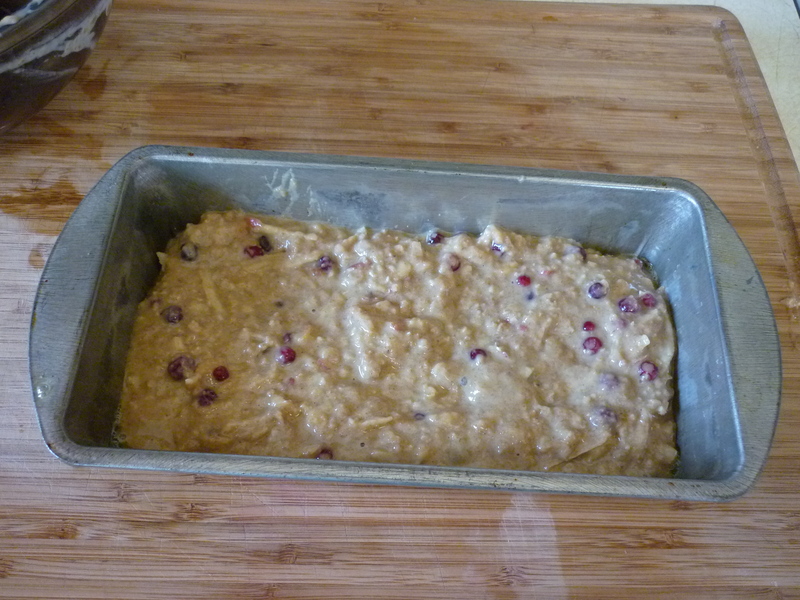 Place in greased 9×5″ loaf pan. Cover and let rise until double. Bake in preheated oven at 350 degrees for 40 minutes. Let cool on rack. This makes a great ham sandwich or toast in the morning for breakfast. I’ll bet a grilled cheese sandwich would be memorable as well.